Did you know Mansfield has an operating 100 year old theater? Did you know you can see live theater, live music, comedy, classic movies, puppets, magic, and more all right here in Mansfield? Did you know the Historic Farr Best Theater is a public facility dedicated to providing a variety of cultural arts programming to the whole Mansfield community? The Historic Farr Best Theater at 109 N. Main Street in Historic Downtown Mansfield was purchased by the City of Mansfield in February, 2017. Extensive repairs and renovations throughout 2017 include fire safety and roof repairs, and new paint, carpet, A/C, and A/V equipment. In 2018 stage light installation will be the primary project. Now that basic updates are completed, the City of Mansfield is happy to present several shows in 2018. All “Farr Best Theater Presents” shows are produced and managed through the City of Mansfield’s Cultural Arts program in the Convention and Visitors Bureau (CVB). The goal is to utilize the Historic Farr Best Theater as a community cultural arts venue to showcase a wide variety of arts entertainment and support our local performing artists. In addition to the “Farr Best Theater Presents” series, the CVB and Cultural Art program partners with other City departments like the Library, Mansfield Activity Center and the Mansfield Commission for the Arts, and arts organizations throughout the community to provide additional arts programming. Finally, the Farr Best Theater is also available for rent. If you are looking for something fun to do in Mansfield, or just haven’t seen the theater recently, we invite you to come to an upcoming show and check it out. Friday, January 19, 2018 @ 7:30pm: The Farr Best Theater presents Texas Music Tapestry Ensemble, sponsored by the Mansfield Commission for the Arts. This acoustic group featuring award winning musicians on guitar, banjo, fiddle, and upright bass will present a concert of jazz, classical, and Texas folk music. In addition to the evening concert at the Farr Best, this group will provide an afternoon of outreach performances for MISD students at Janet Brockett Elementary School. Saturday, January 20, 2018 @ 2:30pm: After participating in the Snowman Run and Winter Walk, stop by the theater to enjoy a showing of the Disney hit “Frozen”. Thursday, February 15, 2018 @ 6pm: The Farr Best Theater presents the Highway Sisters. 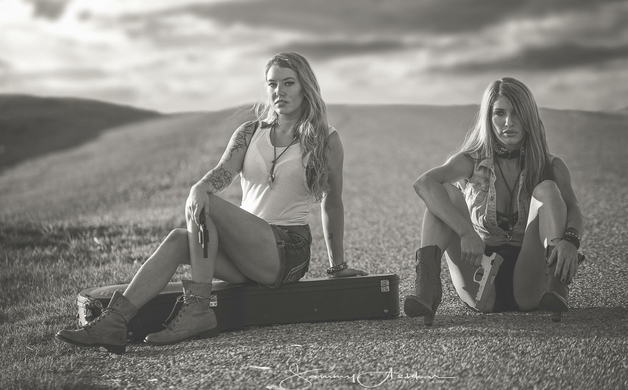 This dynamic country music duo will be the perfect stop for the mid-point of your Third Thursday shopping. Friday, February 16, 2018 @ 7:30pm: Bring your date downtown as the Farr Best Theater presents a showing of the 2004 romantic hit “The Notebook”. 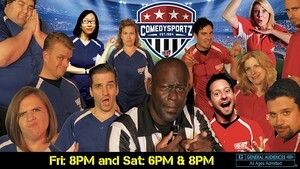 Saturday, February 17, 2018 @ 7:30pm: The Farr Best Theater presents Comedy Sportz Improv. This family-friendly full comedy match will have you rolling in the aisles. You’ll get to join in the fun by providing suggestions for their improv and voting for your favorite team to be declared the winner. Additionally, Comedy Sportz will provide an afternoon improv workshop for MISD high school theater students. All “Farr Best Theater Presents” shows are general seating available on a first-come-first-serve basis. Doors open 45 minutes prior to the show. The City of Mansfield is dedicated to making the arts available and accessible to all. When community groups present shows at the theater, they set their own prices and manage their own ticketing, however the Farr Best can always assist in answering questions. 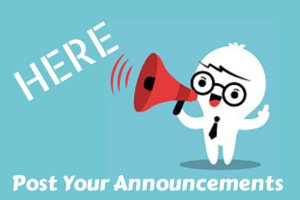 More information about all Farr Best Theater events can be found on the Farr Best Theater website, www.farrbesttheater.com, and the Mansfield Commission for the Arts website, www.mansfieldtexasarts.org, or by calling the Cultural Arts Supervisor at 817-804-5768.